India is the land of many fascinations where the religious values are the most retreated one with the heritage marvels and cultural values being the added puddings. The land of the ancient temples and with oodles of spiritual destinations, India serves as the best destination for pilgrimage and spiritual centers. 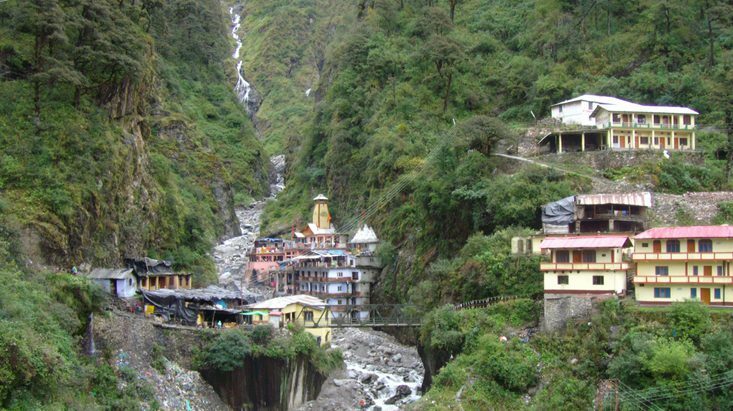 Out of the entire spiritual and pilgrimage destinations, the Chardham Yatra in Uttarakhand allows the most refurbishing pilgrimage center which the Hindus describe as the Teerth Yatra to include a visit to the four famous abodes of Hindu gods namely Yamunotri, Gangotri and Badrinath residing at different districts of Uttarakhand. Having great ancient epics and mythology behind every destination and temple, the Chardham Yatra in Uttarakhand has the greatest invoking power to grab the attention of around millions of pilgrims every year that commences on the month of May/June every year to continue the legacy of Hinduism till the month of November. But, surprisingly and impressively, there is one more fair reason to catch the attention of the pilgrims and the worldwide tourists apart from the legendary significance; and that is the scientific reason behind Chardham Yatra. Since, the different Chardham temples are located on the lush Himalayan valleys, the ambience and the environment brings refreshing moods for all. Quite away from the polluted urban life, the area brings ample amount of fresh air, greenery and less pollution (and population too) for a rejuvenating fruition. The natural environment, herbs and greenery make everyone disease-free; and meditating along this place leads to a longer life. This was the reason, why our ancient sages (Rishi-Munis) survived for hundreds of years and spent their days in meditating at the highest Himalayan peaks. Of course, it is impossible in today’s scenario but one can still find many local people surviving healthily there for longer years. Char Dham Tours lead the pilgrims a tough trekking along the routes to different temples especially at Badrinath and Kedarnath region at Chamoli and Rudraprayag district, respectively. A healthy climber (free from diabetes and cardiac problems) can easily opt for the trekking routes and since trekking has many medicinal values, can make their body healthy and fit (especially the tourists facing the over-weight problems). An adventure freak can enjoy the hiking and rafting opportunities at different peaks and on the river inflows of Ganges and Yamuna for mental rejuvenation and refreshment. Since, such adventurous activities regulate the neurotic senses and make the body calm and re-energized by lowering the rate of heart diseases. On the way to Chardham and nearby areas, the tourists can get the opportunity to receive the hymns of Mantras and enchanting of slokas. Ringing of the temples bells, mantras and slokas have greatest scientific significance since they bring positive vibes in the body and neuro-linguistic effect on the mind; even if you don’t know the meaning of those slokas and mantras. Listening to mantras directly lowers blood pressure, normalizes heart beat rate, brain wave pattern, adrenalin level, even cholesterol level. This is the reason why modern doctors advise the people under high tension to sit and listen to music or mantras for few minutes. The Chardham tour is primarily known for the famous Badrinath Dham where the significant shrine of Lord Vishnu is established (by Adi Shankaracharya). The temple which is open only for six months and is closed during winters, a small lamp is always kept burning inside. When the temple is reopened after winter, this lamp is always found to be burning; also the flowers that are kept in the temple when the temple closed remain fresh. People consider this as a miracle but there is a scientific reason behind such miracle. Since, the oil used in the lamp is a flammable mixture known as Essential Oil (or Volatile Oil) extracted from different herbs including the oil of clove and requires a very small amount of oxygen to get burned and releases no carbon dioxide. Around 2000 years ago, when Adi Shankaracharya re-established the temple, wrote the recipe of the oil made of natural herbs and which is mixed with Ghee made of cow’s milk. Since the ancient times, the residents of the Mana Village near Badrinath are preparing this mixture for the temple and it is strictly instructed to prepare by the girls of less than 10 years for sacred reasons. The flower offered in the temple is called Ban Tusli (Scientific Name- Croton bonplandianus) which remains fresh for longer days and that is why it is preferred to offer at the temple. This variety of flower again recommended by Adi Shankracharya is of such species that they do not fade. The Ban Tulsi flower is used both as a fuel and detergent so also has the cleansing effect. The shrine of Lord Badrinarayan is made of Shaligram Stone, a highly sacred stone which is scientifically a fossilized remains of creatures from the ocean called ‘ammonites’ which became extinct 65 million years ago during the ‘Cretaceous’ era. It is believed, during this era, the Himalayas was a salt-water ocean, Tethis, and was separated by two large chunks of land mass both of which moved towards each other and collided. As a result of this collision, the entire marine life was destroyed and converted into fossil buried under the sedimentary rocks what today is called the sacred Shaligram Stone. Thus the Saligrama is worshipped for six values of life – Righteous Living, creation of wealth, protection, sound health, pleasures and spiritual attainment and the Badrinath shrine reflects these values for perfect reasons. So, even the tourists who are not intended for the religious reasons can also aptly visit the great Himalayas and explore the Chardham routes to experience these afore-mentioned scientific and medical reasons. These are the reasons why Chardham Tours is carrying the greatest importance worldwide since ages.